The processor is one of the most important parts for any laptop or computer as it is the brain and heart of the machine. So before you buy any laptop, first you need to check its processor and also you should go with the latest generation processor because the latest one will be powerful than the previous one. Here in this best laptops for intel core i3 processor laptops buying guide I have added Intel’s latest 8th Gen processor laptops only. If you have no idea about anything about laptop hardware and processor then you need to know that Intel is one of the well-known company who builds powerful processor from many years. If you are looking for a laptop which you can use for watching movies, internet surfing, create documents, presentations, etc, then i3 processor laptop is a good option for you which is affordable also. In a simple word, you can use Intel Core i3 processor laptop for basic day to day tasks. But if you are thinking about doing more than the above tasks then I recommend you to go with Intel i5 processor laptop. The reason is i3 processor laptops are not that much powerful for handling heavy tasks. Now maybe you have got a better idea about i3 processor laptops and you can able to choose the perfect laptop for yourself. 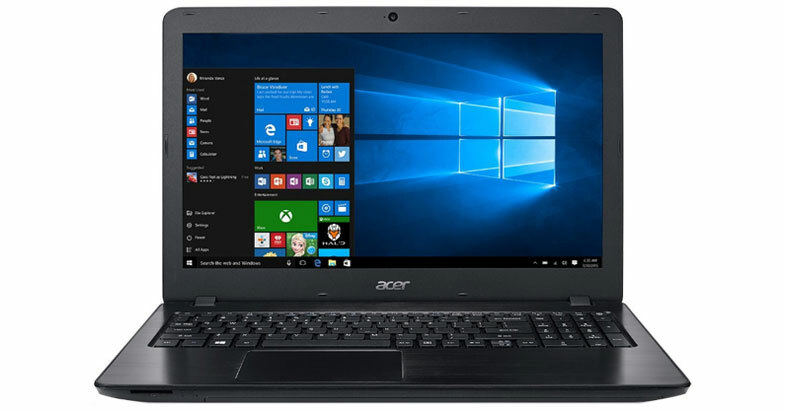 This Acer Aspire E 15 laptop is featuring as Amazon’s Choice laptop and also best budget i3 processor laptop. Here if we talk about the outer body of this laptop, then the material is durable and finished in Obsidian Black. It sports in 15.6-inch full HD Widescreen LED-lit display with 1920 x 1080 pixels of resolution which provides breathtakingly beautiful visuals. 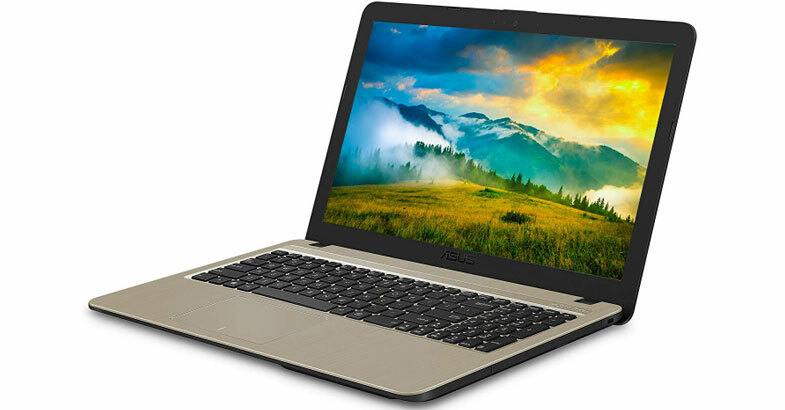 This Acer laptop is powered by the 8th Generation 2.2GHz Intel Core i3-8130U processor with turbo boost up to 3.4GHz. And it runs on the Windows 10 operating system and the processor is paired with 6GB of RAM. For the storage, this laptop has got huge 1TB of HDD drive and to handle some low graphics related tasks it is integrated with Intel UHD Graphics 620. 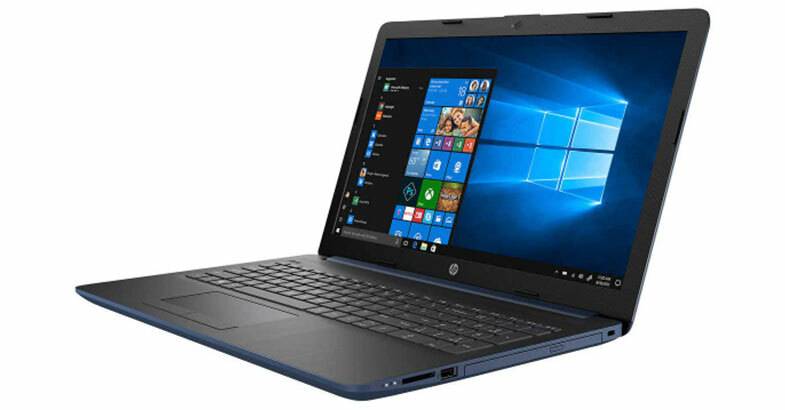 If you are looking for a laptop with good battery life then this notebook provides up to 13.5 hours of long-lasting battery backup, which makes it an ideal in this list. Overall, this Acer Aspire E 15 has got a good amount of RAM, storage, battery life in this $400 budget segment. So I can say that this is the best bang for buck deal for you which you can buy right now. 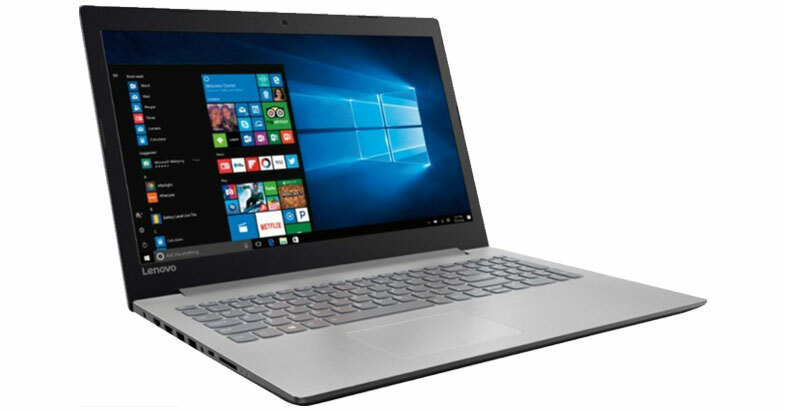 This Lenovo IdeaPad 330 laptop is perfect for day to day tasks and for business use and also if you are a traveler then this device is easy to carry because of its lightweight. The outer body of this laptop is built with plastic but the quality is good and in Platinum Gray, this laptop looks decent for business purpose. It has 15.6 inches of Energy-efficient LED backlight display with 1366 x 768 pixels of HD resolution, but it delivers decent colors when gamma is turned down. It has 8th Gen Intel Core i3-8130U mobile processor and coupled with 8GB of DDR4 RAM, which provides smooth multitasking experience. If storage is your main concern then this notebook comes with 1TB of HDD drive, which is good enough space to store all your files and data. This laptop has integrated Intel UHD Graphics 620 and runs on the Windows 10 operating system. For the connectivity options, it has got all the required ports and slots. 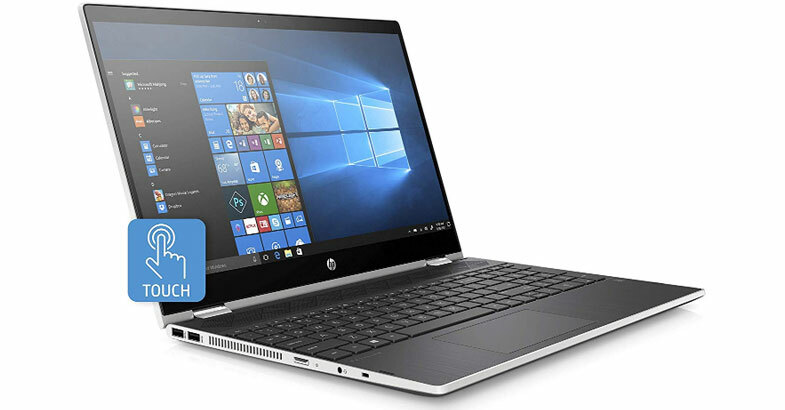 If you are looking for an i3 processor 2 in 1 convertible touchscreen laptop then this HP Pavilion X360 is the best option for you. And another best thing about this HP laptop is this best selling laptop on Amazon. With its strong 360-degree geared hinge it allows you to use in the perfect position to work, write, watch, and play. It comes with standard 15.6-inch diagonal full-HD BrightView micro-edge WLED-backlit touchscreen display with IPS technology which provides better colors from a wide-viewing angle. It runs on the Windows 10 operating system which gives a better experience with its touchscreen display. This device has Intel Dual-Core i3-8130U 8th Gen processor with base clock frequency up to 2.2GHz and turbo boost technology up to 3.4GHz. To take care of multitasking on this device, it is backed by 4GB of DDR4 SDRAM and 16GB Intel Optane memory, which makes it an ideal in this list. And it can handle almost all the task with ease which you will throw. For better multitasking experience, it has dual HP speakers and Audio Boost which is tuning by B&O PLAY, it delivers a rich and authentic audio experience. The battery life of this notebook is decent which lasts for up to 7-hours on a single charge. This ASUS Laptop X540UA-DB31 is the best option for travelers who regularly carry a laptop with them because it is lightweight and portable. Here if we talk about the design of this laptop then its metallic brushed finish chassis gives premium look and feel. It has 15.6” inch of full HD 1080p display with ASUS Splendid visual optimization technology which delivers better sharpness and contrast of every pixel in every frame. And it features with four display modes such as Normal, Vivid, Eye-Care, and Manual, which you can access with just a single click. Its power-efficient Intel Core i3-8130U processor provides smooth and responsive computing performance. This device is equipped with 4GB of DDR4 RAM and huge 1TB of FireCuda SSHD drive which is up to 5-times faster than HDD drive. The keyboard of this laptop is a full-size ergonomic keyboard which gives a more comfortable typing experience. 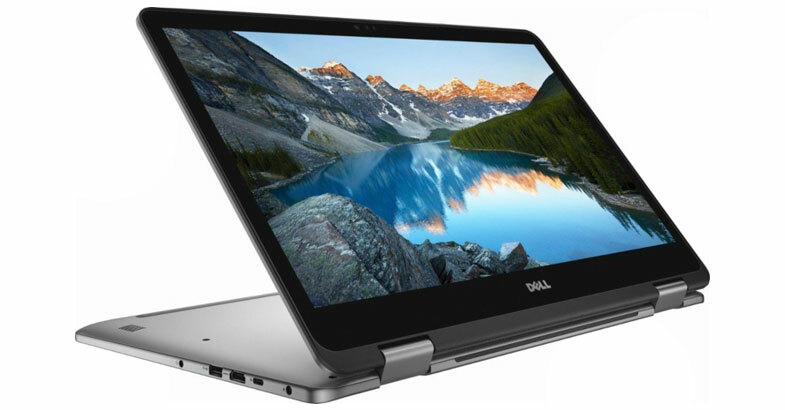 If you are looking for an i3 processor Dell laptop for you then here is the Dell Inspiron 14 5000 convertible laptop which is a good option for you. This Dell laptop has gray metal finish chassis which looks beautiful and sturdy and also feels high-quality. It sports 14-inch HD LED-Backlit display with touch-enabled which works great with Windows 10 operating system. This Dell laptop is powered by the 8th Generation Intel Core i3-8145U processor with 4MB Cache and turbo up to 3.9 GHz. To provide better working experience this laptop is equipped with 4GB of DDR4 RAM and 128GB of fast Solid State Drive. To provide better working experience this laptop is equipped with 4GB of DDR4 RAM and 128GB of fast Solid State Drive. The SSD works better and faster than the HDD, also improves the overall performance of the laptop. For the connectivity, this laptop has all the essential ports and slots. If you want a laptop with i3 processor and a good amount of RAM then this HP Touchscreen High-Performance Laptop is perfect for you. Talking about the design, this HP laptop has Twilight Blue finish chassis from outside and from inside it is black. The display of this laptop is 15.6-inch of HD WLED-backlit touch display with having a resolution of 1366 x 768 pixels. Let’s move toward the specs of this device, it is powered by the 2.2GHz of Intel Core i3-8130U processor and paired with mammoth 12GB of DDR4 RAM. And this good of amount of RAM makes it an ideal in this best intel core i3 processor laptop list. This device runs on the Windows 10 operating system which gives a better experience with its touch display. For the storage, this laptop comes with a huge 1TB HDD drive which is good enough to store all your collection of movies, songs, games, etc. It has all the required ports such as 2 x USB 3.1,1 x USB 2.0, 1 x HDMI 1.4b,1 x RJ-45 (LAN), 1 x Multi-Format Digital Media Card Reader, and 1 x Headphone jack. So these are the top picks which are chosen by me and my laptop expert team for the best intel core i3 processor laptops. All the above-listed laptops are listed here after checking its configuration, customer reviews and ratings. I hope that from this laptop buying guide you will get the best device which is suitable up on your need and budget. Still, if you need any help regarding any laptop then feel free to ask me by just leave a comment below.